Bartek's coding blog: The Amazing Performance of C++17 Parallel Algorithms, is it Possible? With the addition of Parallel Algorithms in C++17, you can now easily update your “computing” code to benefit from parallel execution. In the article, I’d like to examine one STL algorithm which naturally exposes the idea of independent computing. If your machine has 10-core CPU, can you always expect to get 10x speed up? Maybe more? Maybe less? Let’s play with this topic. Update 13th Nov: I've applied the comments from r/cpp discussions, used proper ranges for trigonometry/sqrt computations, and some minor changes. The benchmarks were executed another time. sequenced_policy - is an execution policy type used as a unique type to disambiguate parallel algorithm overloading and require that a parallel algorithm’s execution may not be parallelized. parallel_policy - is an execution policy type used as a unique type to disambiguate parallel algorithm overloading and indicate that a parallel algorithm’s execution may be parallelized. parallel_unsequenced_policy - is an execution policy type used as a unique type to disambiguate parallel algorithm overloading and indicate that a parallel algorithm’s execution may be parallelized and vectorized. Please notice that it’s so easy just to add parallel execution parameter to an algorithm! But can you always experience a huge performance boost? Is it always faster? Or maybe there are cases where it might slow things down? In this post I’d like to have a look at std::transform algorithm that potentially might be one of the building blocks of other parallel techniques (along with std::transform_reduce, for_each, scan, sort…). Our test code will revolve around the following pattern. Assuming the ElementOperation function doesn’t use any method of synchronisation, then the code might have a good potential to be executed in parallel or even vectorised. Each computation for an element is independent, the order is not important, so the implementation might spawn multiple threads (possibly on a thread pool) to process elements independently. I’d like to experiment with the following cases. As you can see, I’d like not only to test the number of elements that is “good” to use a parallel algorithm, but also ALU operations that keep CPU busy. Other algorithms like sorting, accumulate (in the form of std::reduce) also offers parallel execution, but they require more work (and usually merging steps) to compute the results. So they might be candidates for another article. I’m using Visual Studio 2017, 15.8 for my tests - as it’s the only implementation in a popular compiler/STL implementation at the moment (Nov 2018) (GCC on the way!). What's more, I focused only on execution::par as execution::par_unseq is not available in MSVC (works the same way as execution::par). I’m running the code section 5 times, and I look at the min numbers. Warning: The results are shown only to present some rough observations, and please run it on your system/configuration before using it in production. Your requirements and environment might be different than mine. OK, let’s start with some basic examples! Consider a case where you apply a really simple operation on the input vector. It might be a copy or a multiplication of elements. My machine has 6 or 4 cores… can I expect to get 4…6x perf of a sequential execution? As you see on the faster machine, you need like 1 million elements to start seeing some performance gains. On the other hand on my notebook, all parallel implementations were slower. All in all, as might guess there’s a weak chance we’ll any considerable speed-up using such transformations, even when we increase the number of elements. Since the operations are elementary, CPU cores can invoke it almost immediately, using only a few cycles. However, CPU cores spend more time waiting for the main memory. So, in that case, they all be mostly waiting, not computing. We can give a rough observation that if your algorithm is memory bound, then you cannot expect to have a better performance with the parallel execution. Since memory throughput is essential and might slow things down… let’s increase the number of computations that affect each element. The idea is that it’s better to use CPU cycles rather than spend time waiting for memory. For a start, I’ll use trigonometry functions, for example, sqrt(sin*cos) (those are arbitrary computations, not optimal form, just to keep CPU busy). 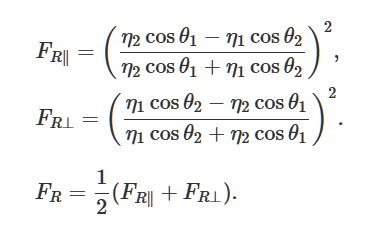 We’re using sqrt, sin and cos which might take up ~20 per sqrt, ~100 per a trigonometry function. That amount of computation might cover the latency on the memory access. How about now? Can we get some better perf than our previous attempt? For 1000 elements (not shown here), the timings for parallel and sequential were similar, so above 1000 elements, we can see some improvements for the parallel version. For 100k elements, the faster machine performs almost 9x faster than the sequential version (similarly for OpenMP version). For the largest set of a million elements - it’s 5x or 8x faster. For such computations, I could achieve the speed-up that is “linear” to my CPU core count. Which is probably what we should expect. In the section above I’ve used some “imaginary” computations, but how about some real code? Let’s compute Fresnel equations that describe reflection and refraction of light at uniform planar interfaces. It’s a popular technique for generating realistic lightning in 3D games. Rather than creating my own implementation, I’ve used the glm library. I’ve used it a lot in my OpenGL projects. The library is header only, so it’s also easy to download it manually if you prefer. The code uses a few maths instructions, dot product, multiplications, divisions, so that should keep CPU busy as well. Rather than a vector of doubles we’re also using 4-element vectors, so the memory used has also increased. With the “real” computations we can see that parallel algorithms offer good performance. On my two Windows machines, for such operations, I could get speed-up that is almost linear to the number of cores. For all tests I also showed you result from OpenMP and both implementations: MSVC and OpenMP seem to perform similarly. In the article, I’ve shown three cases where you can start using parallel execution and parallel algorithms. While replacing all standard algorithms with just their std::execution::par version might be tempting, it’s not always a good way to do that! Each operation that you use inside an algorithm might perform differently and be more CPU or Memory bound, and that’s why you have to consider each change separately. Special Thanks to JFT for help with the article! 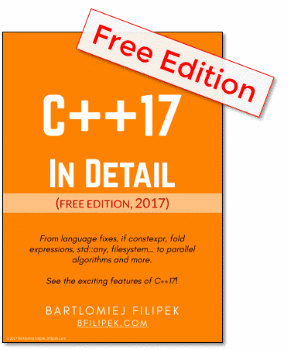 Fresh chapter in my C++17 In Detail Book about Parallel Algorithms. What’s the answer to my question from the title? Can we get the amazing performance from parallel algorithms? Have you played with the parallel execution? Did it bring the expected speed up? In the article I’ve only touched “simple” parallel algorithms - std::transform. Things get even more complicated when we talk about std::reduce.